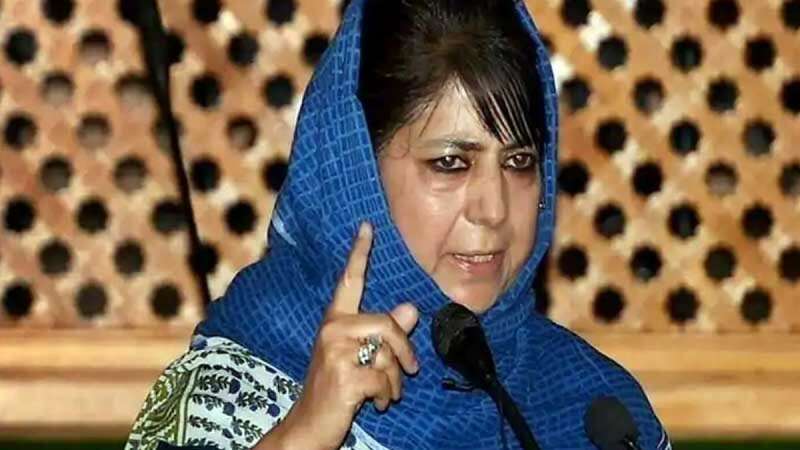 New Delhi : Peoples Democratic Party (PDP) chief and former J&K chief minister Mehbooba Mufti reacted sharply to Finance Minister Arun Jaitley's comment – "statements of mainstream parties of Kashmir create a separatist psyche & not acceptable to New India". She also lauded Congress' manifesto for showing "courage to endorse issues PDP incorporated in its agenda of alliance with BJP. Revocation of AFSPA, not fiddling with JK constitutional provisions and holding unconditional dialogue; the roadmap PDP envisages is the only solution for a peaceful J&K”. In another tweet, she attacked Amit Shah over his comment on Pakistan. Mehbooba said, "Amusing. Amit Shah daydreams about scrapping Article 370 & PM hopes that Pak implodes. The nation wants to move on & focus on issues like unemployment, inflation, etc but BJP cant drop its obsession with Pak. This election forgets real issues, divisive politics will rule the roost."